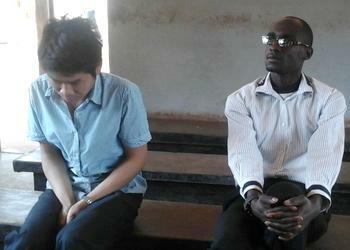 LILONGWE, Malawi, September 29, 2014 (ENS) – A Malawi judge Friday convicted Chinese business national Axin Shang, 25, of ivory trafficking and fined him the maximum allowed by law, MK1 million (US$2,440). In default, he must serve two years in prison at hard labor. The magistrate recommended that the Home Affairs and Internal Security Ministry deport Shang, and ordered that the contraband, 50 kilograms of elephant ivory worked into 2,700 cubes, be forfeited to the Government of Malawi. Shang, an employee at the Golden Peacock Hotel in Lilongwe, attempted to export the ivory without a valid permit, in violation of Malawi’s National Parks and Wildlife Act. Malawi is a Party to the Convention on International Trade in Endangered Species that lists elephants in Appendix I, as an endangered species. Commercial trade of wildlife in this category is banned except in exceptional circumstances. Levison Mangani, the Central Region assistant commissioner of police responsible for prosecution, told the court the offense was discovered on September 16 when officers from Kamuzu International Airport were screening goods at Air Cargo. “Two officers, namely Sergeant Jones Kadanika and Constable Jane Banda, came across a certain consignment, which was described as nine wooden boards. When scanned through the electronic device the results showed something other than wood as indicated on the airway bill,” said Mangani. The two officers seized the shipment and took it to another electronic screening device at the passenger terminal. 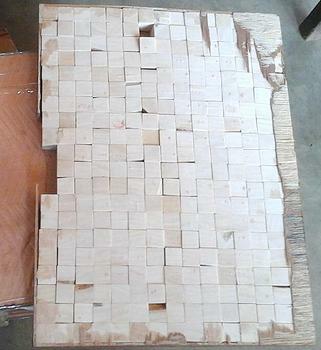 There they found that each of the nine boards concealed 300 pieces of worked ivory cubes, he said. “Your worship, our officers started to track the owner through the global logistics service delivery DHL documents. It was discovered that the shipper was Mark Nyirenda sending ivory disguised as wooden boards to China. The airway bill number 1964394176 showed a payment of MK721,800 was made as shipping charges for air express to China,” a concerned Mangani told the packed court room. Mangani testified that Nyirenda was summoned by airport police and arrested. Under questioning Nyirenda told detectives that he was sent by his bosses at the Golden Peacock Hotel. This led to the arrest of Shang, who admitted he wanted to export the worked ivory to a friend in China. In court, Shang, through an intepreter, admitted to the prosecutor’s version of the facts. Nyirenda said in court that while he agreed with the prosecutor’s presentation, he did not know the contents of the boxes when he was told by his superiors to send them through DHL. “The accused are milking a thin cow and feeding an already fat cow. This is a well planned, executed and concealed offense. We commend the diligence of our officers on duty. The accused person should be given a punishment of not less than the value of the contraband which is US$25,000 (MK10 million),” argued Mangani. Passing judgment on Friday morning, Presiding Senior Resident Magistrate Chisomo Msokera declared Nyirenda not guilty and convicted Shang on his own guilty plea. Magistrate Msokera said the court had to pass a sentence that reflected the public’s interest in deterring other would be offenders. Lilongwe Wildlife Trust Manager Jonathan Vaughan, a campaigner against the illicit ivory trade, welcomed the ruling as the maximum fine. But he lamented that the existing legal framework for penalties has a lot of limitations. Vaughan called for a speedy review of the legislation to seal gaps and loopholes for effective enforcement. He said the German Technical Cooperation Agency is partnering with governments and nongovernmental organizations to curb illegal wildlife trade in elephant ivory and rhino horn across Africa and Asia.